LANSING, Mich. — Legislation sponsored by Sen. Dale Zorn that would allow a school district to establish a district library was signed into law on Tuesday, the senator announced. Zorn’s measure, Senate Bill 108, which is now Public Act 108 of 2015, removes a provision within existing law that has prohibited local governments, including school districts, from forming new district libraries since Jan. 1. Milan Mayor Michael Armitage, who previously voiced his support for Zorn’s bill, said the issue is a particular concern for the city, which straddles the line between Washtenaw and Monroe counties, and a portion of which is in Zorn’s Senate district. SB 108 was approved unanimously by the Senate in March and by a vote of 109-1 in the Michigan House of Representatives earlier in June. LANSING, Mich. — Sen. Dale Zorn announced last week that he is joining with members of the Great Lakes Legislative Caucus (GLLC) in opposition to a proposed nuclear waste repository near Lake Huron in Ontario, Canada. The letter also urges the president to take appropriate action under the Boundary Waters Treaty of 1909 and the Great Lakes Water Quality Agreement to prevent the construction of the permanent nuclear waste repository at the Bruce Power nuclear facility in Ontario or any other location in the Great Lakes basin. This is the latest effort by Zorn to help protect the Great Lakes from nuclear waste. Zorn sponsored Senate Concurrent Resolution 8, which called on the U.S. government to complete facilities for safely spent nuclear fuel as is already required by a federal law passed in 1982. LANSING, Mich. — The Michigan Senate on Thursday approved a resolution sponsored by Sen. Dale Zorn declaring June 28 – July 4 as Aquatic Invasive Species Awareness Week. Senate Resolution 74 encourages residents to increase their understanding and awareness of aquatic invasive species (AIS) and their ecological and economic impacts, and to take preventative measures to help stop the spread and introduction of the species in Michigan. SR 74 states that more than 180 nonindigenous AIS have been introduced to the Great Lakes, many of which are displacing native species; disrupting habitats; and degrading natural, managed and agricultural landscapes — resulting in millions of dollars for control efforts each year. For more information about AIS, visit www.michigan.gov/AquaticInvasives. LANSING, Mich. — Legislation sponsored by Sen. Dale Zorn that would allow a school district to establish a district library is on its way to the governor’s desk to be signed. 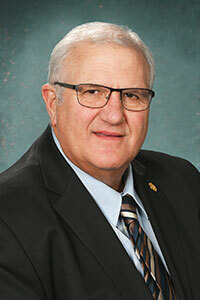 Milan Mayor Michael Armitage previously voiced his support for Zorn’s bill. 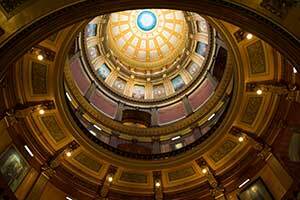 SB 108 was approved unanimously by the Senate and 109-1 by the Michigan House of Representatives. It now heads to the governor to be signed. 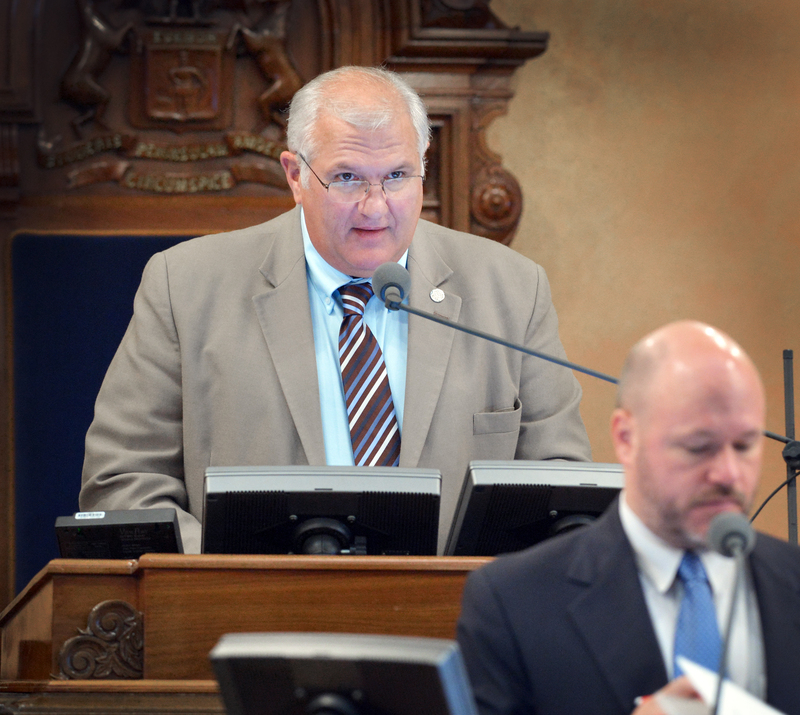 LANSING, Mich. — Sen. Dale Zorn, R-Ida, presided over the Michigan Senate during session on Tuesday. It was the first time that Zorn had presided during session since he took office as senator for the 17th District in January. Editor’s note: The above photograph of Zorn is available by clicking on the image or by visiting the senator’s website at www.SenatorDaleZorn.com. Click on “Photowire” under the Media Center tab. LANSING, Mich. — Free fishing! Sen. Dale Zorn is reminding residents that Michigan’s annual Summer Free Fishing Weekend is this Saturday and Sunday, June 13-14. During the weekend, all fishing license fees will be waived, but all fishing regulations still apply. The “Weekend of Fishing Fun” program is being offered at William C. Sterling State Park on Saturday at 6 p.m. and Sunday at 7 p.m. The park is located at 2800 State Park Road in Monroe. On Saturday, visitors will meet at the campground pavilion for a fun, family-friendly fishing derby competition. On Sunday, families can meet at the Midway Pavilion to fish in a relaxed atmosphere. For both events, children age 12 and under should be accompanied by an adult. Limited equipment is provided, so feel free to bring your own gear. A Recreational Passport or daily pass is required for entry to the state park. For more information on the Summer Free Fishing Weekend, including a list of activities across the state, visit www.michigan.gov/freefishing. LANSING, Mich. — Sen. Dale Zorn and Rep. Jason Sheppard on Monday announced new legislation designed to stop deep well injection of brine waste products in Monroe County. “Our main concern with these measures is the protection of Michigan’s water, especially in areas where residents depend on wells for their drinking water,” said Zorn, R-Ida. “The uncertainty of karst formations when pressure and heat is applied is concerning to Representative Sheppard and me and should be to any regulatory agency. The lawmakers visited Summerfield Township Hall in Petersburg to announce their bills, which will be formally introduced on Tuesday. Senate Bill 387 and House Bill 4694 would prohibit deep well injection in Monroe County, where karst topography exists and is within 25 miles of a major body of water. Current law requires both a federal and a state permit to inject brine into underground wells. Zorn’s and Sheppard’s bills target state law to effectively rule out siting such a well in these sensitive underground settings. LANSING, Mich. — Sen. Dale Zorn and Rep. Jason Sheppard to announce new legislation designed to stop deep well injection of brine waste products in Monroe County. Press conference to announce new measures that would protect the drinking water of residents of Summerfield Township and Monroe County. Monday, June 8 at 11 a.m.
“We have achieved much to improve our state and energize our economy, and this budget continues that positive momentum while ensuring we live within our means. “I supported this budget because it makes smart investments in top priorities facing Michigan families and businesses. Most importantly, it increases funding for our local schools and invests an additional $400 million — from existing revenues — into fixing Michigan’s roads. “With this budget, we are building on our commitment to our schools — increasing support to schools by more than $200 million and paying down more than $1 billion in school retirement costs, which will help schools put additional dollars into the classroom. “As Michigan’s economy grows and creates jobs, we are increasing support for career and technical education to more than $36 million. This is about investing in career training to help give students and workers the skills necessary to get a well-paying job. Senate Bill 133 contains budgets for principal state departments and the Judicial and Legislative branches. It includes a $94 million deposit into the state’s rainy day fund, reduces the state’s film credit, invests $4 million more into the Pure Michigan campaign and puts more resources into local revenue sharing and public safety. House Bill 4115 is the omnibus budget for K-12 education, state universities and community colleges, totaling $15.8 billion. The bill includes an additional $209 million for schools and a $217 million increase in state contributions — for a total of $994 million — to the Michigan Public School Employees Retirement System (MPSERS). The bills now head to the governor to be signed. The FY 2016 budget takes effect on Oct. 1.